Rover - I Say Ding Dong Shop - Buy Stickers, Decals & Unique Automobilia. Land Rover Range Rover Under Bonnet EU Patents Labels Sticker. Various Sizes. Set of 5. MG Rover Land Rover This Plug Must Not Be Removed (MRC7253) Red Text Sticker. 2". 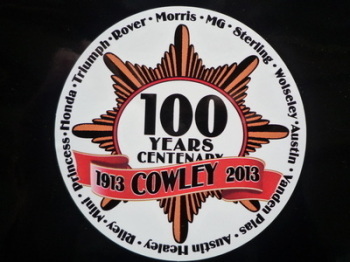 Morris Works Cowley Plant 100 Years Centenary Sticker. 3" or 4". P.J.Evans Ltd. Birmingham Dealers Window Sticker. 7.5". 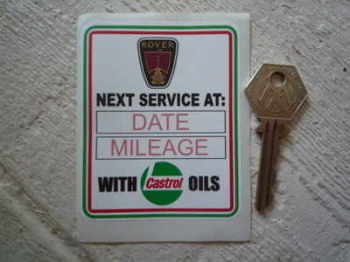 Rover 'With Castrol Oils' Service Sticker. 3.5". Rover 3500, 'S', P6, Cooling System Special Offer Sticker. 4". 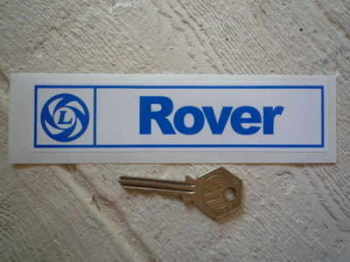 Rover British Leyland Sticker. 6". Rover Dealers Sticker. 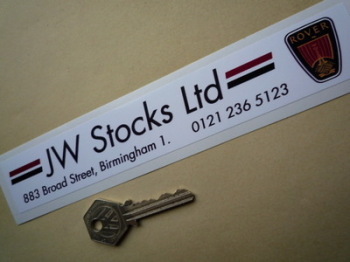 JW Stocks Ltd, Birmingham. 8". 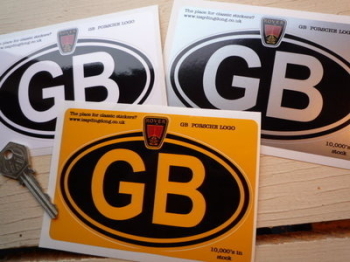 Rover Horners of Manchester Dealer Sticker. 12". 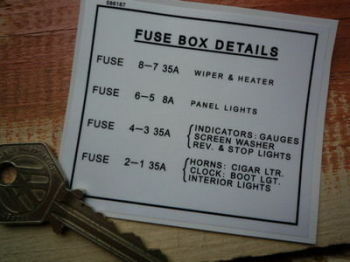 Rover Land Rover Fuse Box Details Special Offer Sticker. 3". Rover Large A4 Document Holder/Toolbag. Rover Last Generation Shield Shaped Stickers. Set of 4. 1.5". 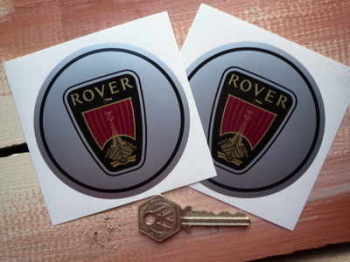 Rover Logo Circular Stickers. 80mm or 90mm Pair. 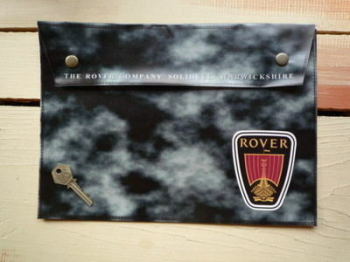 Rover Logo Nationality Country ID Plate Sticker. 5".